Announcing Our Annual Benefit Concert – New Show for 2017! Announcing our annual benefit concert supporting Wall Township First Aid & Rescue Squad! All funds support the operation of the Squad as we provide Basic Life Support (BLS) Emergency Medical Services (EMS) to our community with no cost to the patient for our services. After a long and successful partnership with the show Beatlemania Now, new for 2017, we welcome The Desert Highway Band to the Eva Applegate Theater at Wall Township High School at 8:00 PM on Friday September 15, 2017. 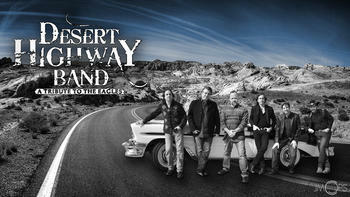 Join us for A Tribute To The Eagles as we celebrate the greatest of West Coast Country Rock from the 1970’s and 1980’s. We are anticipating a sold out show! Ticket details to be announced soon – check back often.